Adults 65 and older are sustaining spinal cord injuries more often than any other demographic, and about 1 in every 5 of these injuries is fatal, a new study published in Journal of the American Medical Association (JAMA) has recently reported. This study, which was conducted at the Vanderbilt University School of Medicine, focused on analyzing the rates of spinal cord injuries among different sectors of the population over the past two decades or so. Among males, the rates of spinal cord injuries jumped from 84 per million in 1993 to 131 per million in 2012. Among females, the rates jumped from 32 per million in 1993 to 53 per million in 2012. 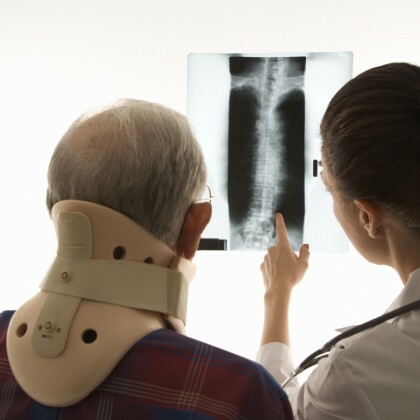 Our Portland personal injury lawyers discuss a new study that reports that spinal cord injuries are declining among younger people and increasing among the elderly. Stricter laws and better enforcement of those laws (particularly those related to seatbelt use and drunk driving). Although researchers didn’t specifically note why they thought the rates of spinal cord injuries among older adults has been increasing over the past few decades, other medical professionals have offered their opinions, with some explaining that falling has a lot to do with it. In fact, they elaborated that, as people age, they are far more likely to fall and seriously injure themselves because they are more likely to be experiencing vision problems, as well as balance problems and a loss of their fine motor skills. What do you think about this study and its findings? Post your comments and opinions on our Facebook & Google+ pages. Have you suffered a spine injury due to someone else’s negligence? If so, you can rely on the Portland personal injury lawyers at the Savage Law Firm for experienced help and aggressive legal advocacy. For more than 30 years, our lawyers have been devoted to providing each of our clients with personal attention, respect and the highest quality legal services. Let us put our experience, knowledge, dedication and resources to work helping you obtain the compensation and justice you deserve.